With several thousands of Children's Books and Apps to choose from, how could you possibly choose the best books that will have the biggest positive impact on your Child? Sure there are a few Classic Children's Books like "The Cat in the Hat", or "Charlotte's Web" which was the best-selling children's book of all time, but what about more personalized books handpicked just for them? The entrepreneurs behind the Zoobean Curated and Handpicked Books, Jordan Lloyd Bookey and Felix Brandon Lloyd, who will be on Shark Tank in episode 529 with their personalized "Book of the Month Club" for Kids. Every Child's Book is scrutinized by expert curators before it makes the grade and becomes part of the Zoobean learning experience. Furthermore, the expert educators and librarian curators write out reading guides with helpful tips and fun activities included with each Zoobean Book sent monthly. Jordan Lloyd Bookey and Felix Brandon Lloyd are both expert children curators that started Zoo Bean just shy of a year ago in May of 2013. Jordan worked for Google as the head K-12 education program, and also writes a column for the Huffington Post mostly dealing with; you guessed it, children's books. Felix who is married to Jordan, was named teacher of the year in Washington D.C., where the Zoobean Business is located. When you sign-up your Child for the Zoobean Book of the Month Club, you first need to answer a series of questions which help the curators handpick specific books tailored to their age and reading level. Each month they receive a brand new book in the mail that's been hand-picked by professionals just for them. The cost of the Zoobean Book Club is only $9.95 per month which seems like a very reasonable price, especially if these personalized books encourage kids to read and learn even more. 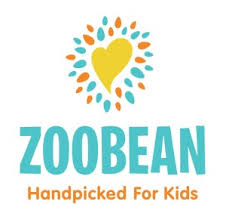 Zoobean also has another product in the form of an App listing hundreds of children's books. You can download the Zoobean App on either Android or iPhone devices, and sign-up for a Free 60 Day Trial. Depending on your child's interests, this smart app sends weekly recommendations tailored to their interests and reading level. Currently, the cost for Zoobean Book App is only $7.99 for a 3-month subscription or $19.95 for a full year. Considering Zoobean has been in business for less than a year as of this writing, Felix and Jordan's new opportunity was brand new when they walked into the Shark Tank Show. According to the press release for this episode 529, Zoobean only had 85 subscribers signed up for the "Book of the Month Club" when they went in front of the Sharks. With a subscription cost less than $10 per month, times the 85 current subscribers, the gross revenue of $850.00 per month might be a little hard to impress any of the Sharks. If they can convince the Sharks this new personalized book club for kids is making a big difference in developing their learning skills, and have a plan of action to substantially grow the subscribers list, the Zoobean Book Club could easily change the entire Children's Book Industry with very specific books tailored to each individual child.